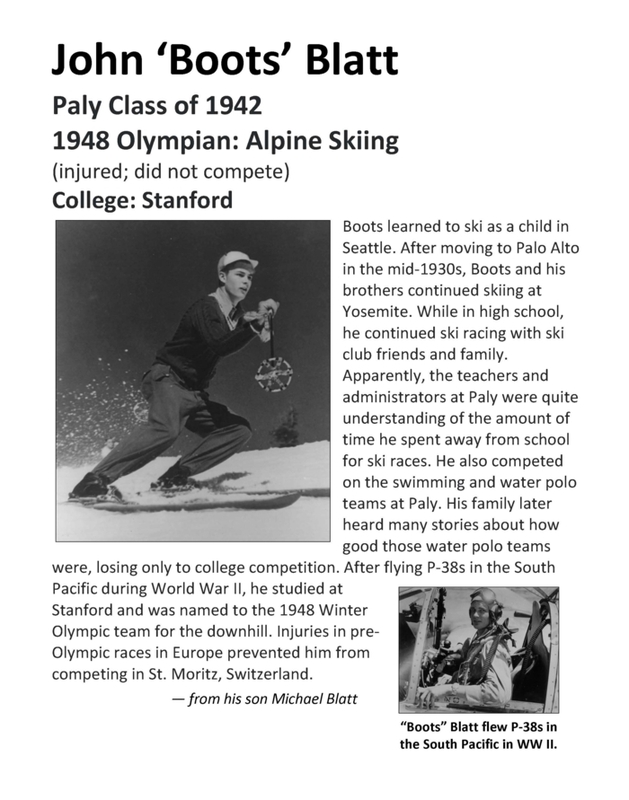 Sue Blatt Cowdery (Paly '71) daughter of Bob Blatt, Paly '40, and Michael Blatt, son of John "Boots" Blatt, Paly '42, attended a mini-ceremony on Wednesday, January 30, 2019 where their fathers were added to the Paly Olympians display. 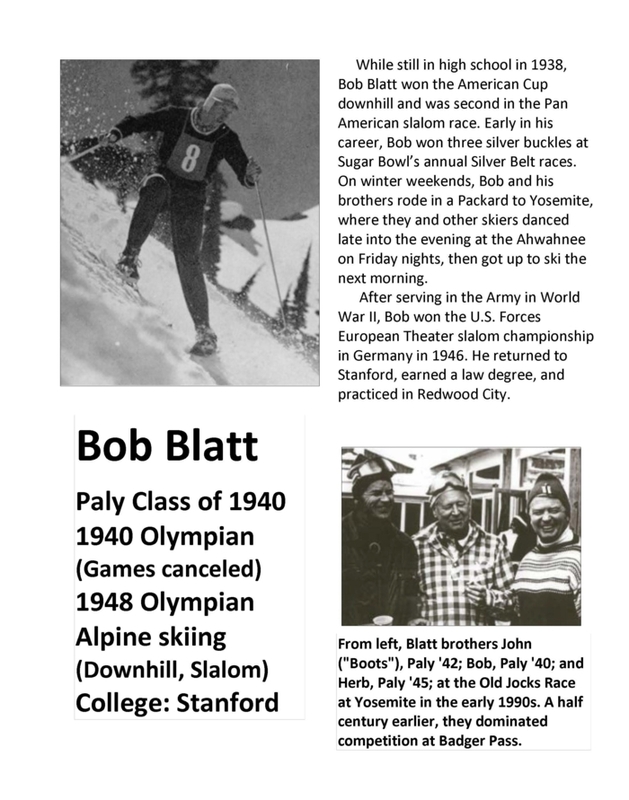 The Blatt brothers were on the 1948 Olympic ski team. 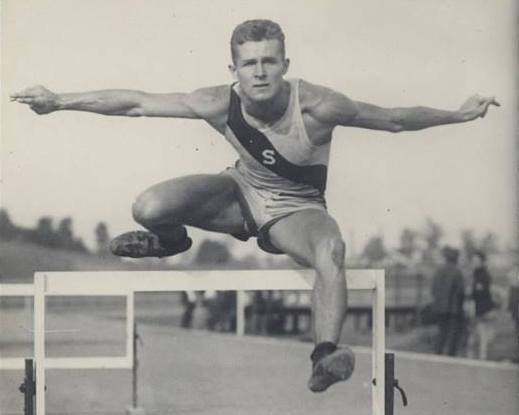 Bob Blatt was also on the 1940 Olympic team, however, the Olympics were cancelled because of WW II. Sean, a goalie, was a member of the USA Senior National team from 1994-2000, competing in the 2000 Sydney Olympics. A three-time All-American (1992-1994) at UC Berkeley (CAL) Nolan graduated in 1993 with a degree in political economies of industrial societies. He led the Bears to NCAA titles in 1991 and 1992 including making two mach-saving blocks at the end of regulation in the ’71 title match against Stanford. 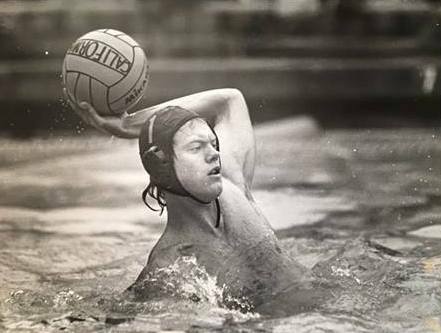 The 1992 NAA championship match is considered by many to be the greatest title match in NCAA water polo history as Cal won 12-11 in sudden-victory to preserve a perfect 31-0 record. At Paly Sean was name a first-team All-American his senior year after winning the CCS Championship for the first time in school history. 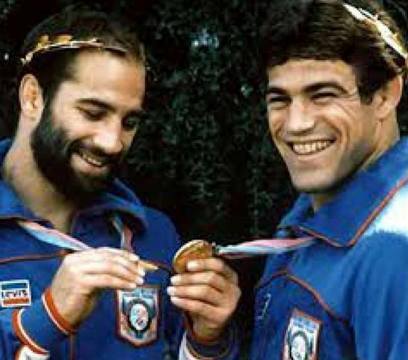 "My brother was a saint," Dave Schultz told the San Jose Mercury News in 2010. "He was the greatest ambassador that the wrestling world has ever known. It didn't matter what country you were from. If you were a wrestler, you were his friend. It's amazing how many lives Dave touched. Wrestling will never see someone like Dave Schultz again. He was one of a kind." The highlight of Terri’s 20-yr swimming career was qualifying for the 1980 U.S. Olympic Team In both the 100 and 200 meter breaststroke. 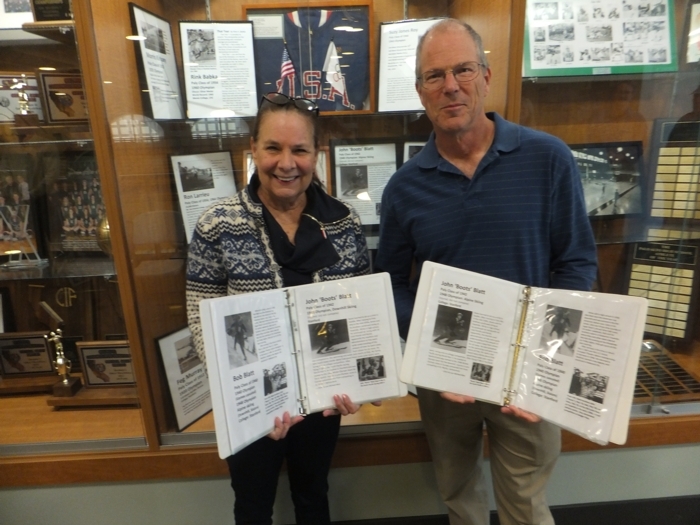 As a high school varsity swimmer, she won the Central Coast Section Championship and breaking the CCS record in the 100 breaststroke and 200 individual medley in 1981. 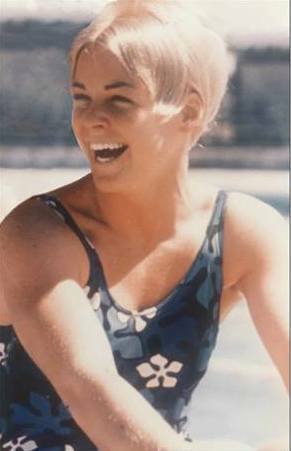 Terri was named “Most Outstanding Varsity Swimmer from 1978 – 1982. She attended Arizona State University on a full swimming scholarship where she was a three-time NCAA All-American in the 100 and 200 breaststroke and 200 and 400 medley relays. In 1987 she represented the U.S. at the Pan American Games and won a bronze medal in the 100 meter breaststroke. Suzy (Susan) Jones Roy is a Palo Alto native and feels she was born in the right town at the right time for a competitive swimming career. The nearby famous Santa Clara Swim Club with Coach George Haines spurred her on to make the Olympic team on her second try in 1968. 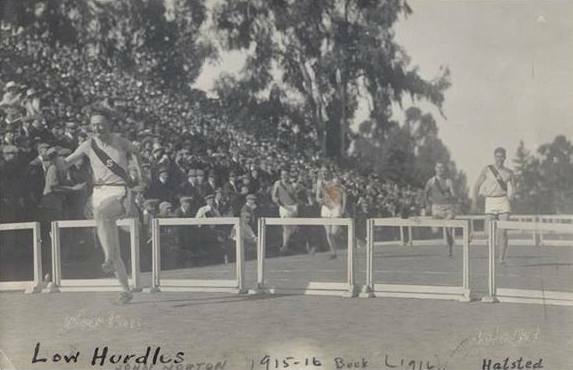 Suzy’s swimming career took place pre--Title IX before there were high school or intercollegiate sports competitions for women so she did not compete in swimming at Paly. 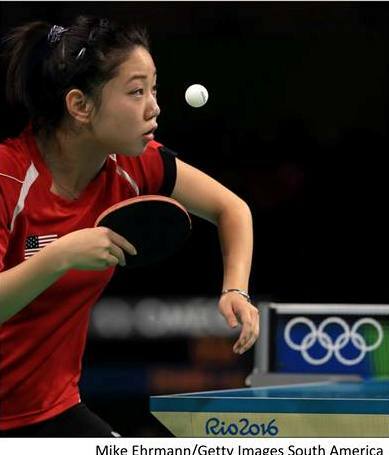 She became a trail-blazer forging the way for future women athletes to have equal opportunitites in sports as the men. 1965 AAU Cross-Country Championships -- NYC, November 27, 1965. Nothing but fond memories. It was my good fortune when Dad moved our family from San Francisco to “Mayfield Township” in 1946. Palo Alto still had a small town feeling. The large open tracts of land adjacent to Mayfield made it almost country; a marvelous place for a nine-year-old to grow up. 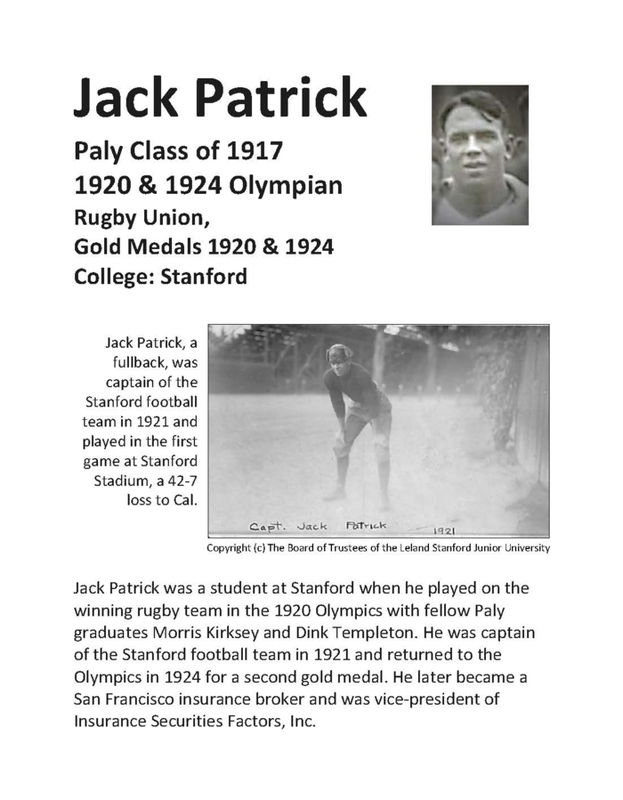 Paly High brought me together with Coach Forrest Jamieson. It was the perfect storm. 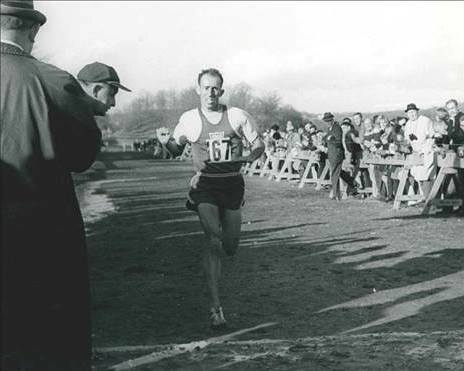 He molded me into a successful runner, starting me down the road toward bigger accomplishments. Had our family remained in The City, it’s not likely Ron Larrieu, the runner would have ever existed. That Tear – is priceless to acquire. The prerequisites are few but demand conviction, courage and commitment. That Tear – has a vision: The view of the dream of excellence and the focus of hard work and demanding improvement. 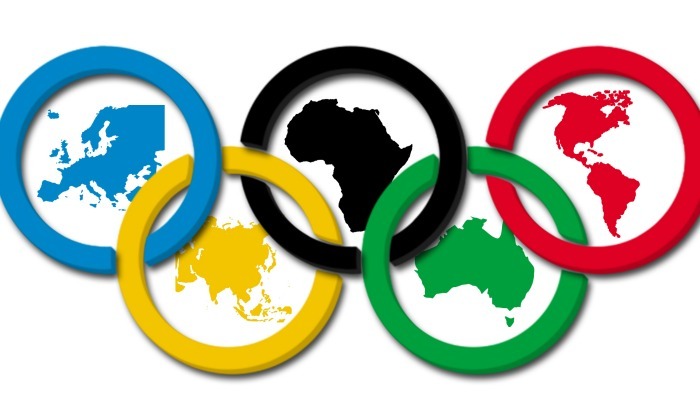 That Tear – you see from the eye of the Olympian is in fact the True Spirit of the Games, never to be seen any place else. No other sport or assembly can claim it. Only a camera can capture it. That Tear- may be irrelevant to others since they cannot buy it. Only the Olympian has earned it. This true expression from the perfection, pride and privilege of dedication to have struggled, knowing they had done their best at that moment in time. The entry fee is free. That Tear – in fact is the Olympic experience. 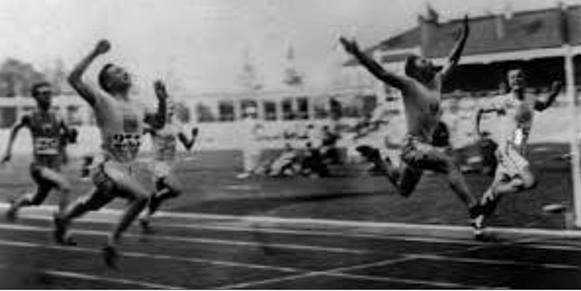 The spirit of the lasting reminder of one’s wonder of their inner self; both collectively with one’s soul and the Olympic Flame that will never burn out. That Tear – the spirit of true emotion will be with the Olympian for life. That is God’s gift – a greater gift than the medal itself. Rink remembers Dink Templeton: "I used to walk by Dink Templeton's home on my way to Paly. That's how it got started." 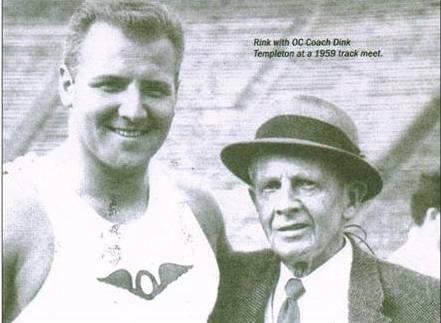 (Templeton was track coach at Stanford from 1924-39 and continued to coach other future Olympians). "He saw the potential in me. One day after I was pitching in a baseball game, he grabbed me by the shirt and took me to the track. I won shot put that day. He was a mentor. I owe a whole lot to him." working at San Quentin and Folsom prisons. Feg Murray was a syndicated cartoonist mainly drawing atheletes and entertainers. He was best known for his "Seein' Stars" column spotlighting Hollywood stars. John K. Norton served as an Army officer in WW I, followed by a long career in education. He became a department director at Teachers College of Columbia University and fought for the idea that teachers could help solve such issues as juvenile delinquency and urban poverty. He made headline in the 1930s when he argued that male and female teachers should receive the same pay. A world class wrestler, Olympic gold medalist, inspirational coach and Palo Alto High School alumnus, David (Dave) Schultz, was shot and killed at point-blank range on Jan. 26, 1996. 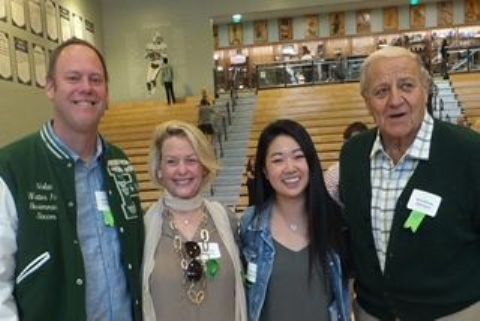 To help honor their son’s memory, Dave’s father and wife, Philip and Nancy Schultz returned to the Viking campus in November to tour the new wrestling facility led by a group of Paly wrestlers. Dave and his brother, Mark Schultz were both state champion wrestlers in high school and continued to win more medals at the collegiate and professional level. The brothers’ success on the mat soon captured the attention of millionaire and American philanthropist, John Du Pont. 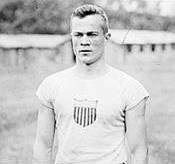 Du Pont was a sports fanatic who was never quite good enough to compete in sports himself, but channeled his compulsive obsession through sponsoring many sports teams. His next big project was to organize a super squad of citizen athletes under the name of Team Foxcatcher. When Dave was offered a spot on the team, Du Pont’s money was too green and he was too powerful and influential to be turned down. In 1989 Dave moved onto the Foxcatcher Farm with his family to be the new wrestling coach of Team Foxcatcher. Along with coaching the Foxcatcher wrestlers, Dave was well on his way to winning another gold medal in the 1996 Olympics. Although fame soon shadowed Dave’s wrestling and public life, his work ethic remained persistent. 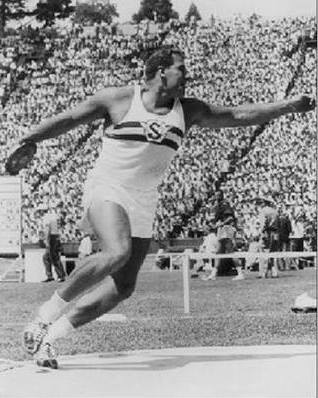 As a Paly student athlete or an Olympic gold medalist, Dave never took his natural born talent for granted and trained intrinsically. “[Dave’s work ethic] was inscribed within him from a time since he was 11 or 12 years old,” Philip Schultz said. As mentally and physically demanding the sport of wrestling is, Dave was able to channel his passion and competitive nature into dominating on the mat according to his dad. On top of the strenuous nature of the sport, the Foxcatcher wrestlers were put under great pressure and possibly sexual abuse by Du Pont. Confirmed by many coaches and wrestlers, Du Pont allegedly removed wrestler Andre Metzger from the Foxcatcher team for declining his sexual advances. According to Mark, Du Pont invented a wrestling move dubbed the “Foxcatcher Five” that consisted of grabbing another wrestler’s testicles with five fingers. Du Pont also faced charges of sexual abuse in 1986, and as a result his wrestling program at Villanova University was disbanded according to the Philadelphia Daily News. Du Pont’s eccentric behavior quickly escalated and though the athletes grew suspicious, his wealth protected him from any allegations. The conspiracy theorist believed ghosts and Nazis lived on the Foxcatcher farm. When Du Pont learned Dave would soon leave Team Foxcatcher for a wrestling job at Stanford University, his idiosyncrasies only intensified, until his last string of mental sanity snapped. On a Friday afternoon Du Pont drove onto Dave’s driveway and shot him dead. The timeline of events leading up to Dave’s death was adapted into the 2014 thriller “Foxcatcher” starring Mark Ruffalo, Channing Tatum and Steve Carell. The Schultz family has kept in close contact with the Paly community since Dave’s tragic death. Nancy graciously donated Dave’s Olympic jacket to Paly, now displayed in the new Peery Center. 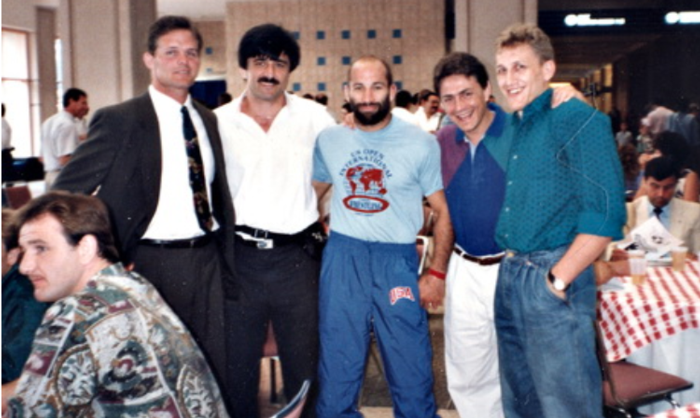 Nancy Schultz and U.S. Wrestling have worked in collaboration to create the Dave Schultz Memorial International, an annual wrestling meet in Colorado Springs that honors the “spirit of friendship, sportsmanship and goodwill” that Dave epitomized. Posters, medals and plaques in memory of Dave line the walls of the new wrestling room. The National Wrestling Hall of Fame sent Paly two brass plaques that hang on the entrance of the wrestling room dedicated to Mark and Dave. Paly wrestlers view the Schultz brothers as the gold standard of wrestling. As one of the most reputable international wrestlers of his decade, Dave won a combined 16 medals in the World and U.S. National Championships, and exemplified some of the most technical matches seen in wrestling history.